Appcelerator CEO Jeff Haynie has posted about his plans for Titanium, the company’s cross-platform mobile development toolkit. The governance model used by an open source project encapsulates all the hard questions about a project. Who decides on the project roadmap? How transparent are the decision-making processes? Can anyone follow the discussions and meetings taking place in the community? Can anyone create derivatives based on the project? What compliance requirements are there for creating derivative handsets or applications, and how are these requirements enforced? Governance determines who has influence and control over the project or platform – beyond what is legally required in the open source license. The percentages are derived by analysing four aspects of each project. Access covers availability of source code and transparency of decisions. Development refers to the transparency of contributions and acceptance processes. Derivatives covers constraints on use of the project, such as trademarks and distribution channels. Community structure looks at project membership and its hierarchy. In the case of conflicts and disputes, these are judged by one of two Mozilla “benevolent dictators” – Brendan Eich for technical disputes and Mitchell Baker for non-technical disputes. Qt comes out OK but has a lower score because of Nokia’s control over decision making, though it sounds like this was written before Nokia’s Windows Mobile revolution. Bearing that in mind, it seems odd to me that WebKit comes above Mozilla, but I doubt the percentages should be taken too seriously. It is good to see a report that looks carefully at what it really means to be open, and the focus on governance makes sense. Mozilla CEO fearful of closed mobile platforms. So what next for Mozilla and Firefox? Google marketing budgets for Chrome are much larger than Mozilla’s annual revenue. though he does not mention how much of Mozilla’s income actually comes from Google. The Foundation’s last published figures are from 2009, and show that most of Mozilla’s income is from deals with search providers, and while it is not specified, both common sense and evidence from previous years tells us that most of that is from Google. In the mobile space, not all platforms enable the user to choose what Web browser to use. This trend may also be coming to the PC world with Chrome OS, which only runs Chrome. The biggest challenge is to get access to the lowest level of the device, these open platforms are not quite open, which is why we are worried about it, you don’t have the true open web. It frightens me, it frightens me from a user point of view, I am not allowed to choose. It is hard to see how Safari will not always be the browser for iOS, and while Mozilla has better chances on Android, it is hard to see how Google’s stock browser will not always dominate there. At a browser engine level, Mozilla has lost out to WebKit, which is used by Apple Safari, Google Chrome, RIM Playbook and HP WebOS. Microsoft’s Windows Phone 7 uses Internet Explorer. … the browser is no longer the only way people access the Internet. People also use more focused “apps” to do discrete tasks, and often feel a strong sense of attachment to the apps and the app model. This is an exciting addition. Mozilla should embrace some aspects of the current app model in addition to the browser model. That said, it is not clear to me what sort of major contribution Mozilla can make in the app world, and the transition from browser company to app company would be a difficult one to pull off. I cannot escape the thought that Mozilla’s time is passing. Its success was built not only on an excellent browser, but also on widespread dissatisfaction with Microsoft’s Internet Explorer and the stifling effect it was having on the progress of web standards. Firefox was a better browser, and gained disruptive momentum. In Germany Firefox currently has a 55% market share, according to Statcounter. However, while Firefox is still a great desktop browser, Google and WebKit between them are now strongly advancing web standards, and even Microsoft is now talking up HTML 5. Mozilla has largely achieved its goal, leaving it now with an uncertain purpose. It is good for web standards to have a powerful independent non-profit foundation, rather than having commercial giants like Google and Apple dominate, but in the end this has to be paid for either by a business model, or by sponsors. In this latter respect, IBM’s withdrawal of funding for Firebug author John Barton is not a good sign. In retrospect, Mozilla was too slow to embrace mobile; but most of the developments which are now impacting the Foundation are outside its control. On a day when Apple has announced breathtaking profits, it is worth noting Kovacs remarks about the chilling effects of closed platforms on Mozilla’s work. The consequence: apps created using WebKit as a runtime, for example using PhoneGap, will not get the benefit of Nitro. To add another note to this, its a bug that Apple seems to know about. I can’t link to it because its marked CONFIDENTIAL across the top of the dev forums, but in short its known about and being investigated. or it could be a security feature. 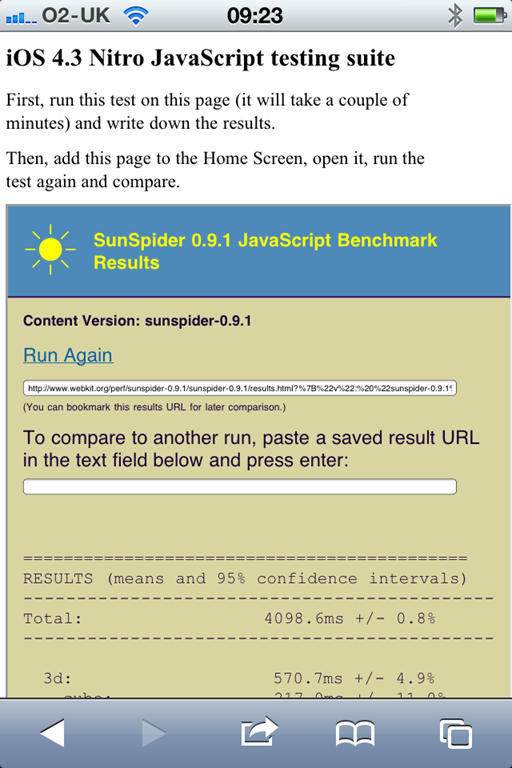 Using a just-in-time compiler exposes the operating system more than just interpreting the code; perhaps Safari has more protection when running standalone. Either way, with the increasing interest in WebKit as a de facto cross-platform application runtime for mobile, this particular limitation is unfortunate. I’ve tested this by switching apple-mobile-web-app-capable from ‘yes’ to ‘no’ and offline cache works as expected. But whenever it’s switched back to ‘yes’, it’s not working anymore. This occurs when the app is standalone at home screen. As a website, viewed with Safari cache is working as expected. This was an amazing year for tech. Here are some of the things that struck me as significant. 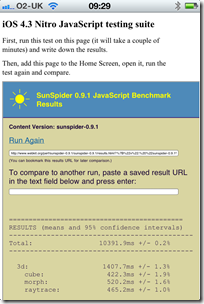 Oracle acquired Sun and set about imposing its authority on Java. Java is still Java, but Oracle lacks Sun’s commitment to open source and community – though even in Sun days there was tension in this area. That was nothing to the fireworks we saw in 2010, with Java Community Process members resigning, IBM switching from its commitment to the Apache Harmony project to the official OpenJDK, and the Apache foundation waging a war of words against Oracle that was impassioned but, it seems, futile. Only up to a point, of course. This is the Windows and Office company, after all. However – and this is a little subjective – this was the year when Microsoft convinced me it is serious about Windows Azure for hosting our applications and data. In addition, it seems to me that the company is willing to upset its partners if necessary for the sake of its hosted Exchange and SharePoint – BPOS (Business Productivity Online Suite), soon to become Office 365. This is a profound change for Microsoft, bearing in mind its business model. I spoke to a few partners when researching this article for the Register and was interested by the level of unease that was expressed. Microsoft also announced some impressive customer wins for BPOS, especially in government, though the price the customers pay for these is never mentioned in the press releases. Silverlight is Microsoft’s browser plug-in which delivers multimedia and the .NET Framework to Windows and Mac; it is also the development platform for Windows Phone 7. It still works on a Mac, but in 2010 Microsoft made it clear that cross-platform Silverlight is no longer its strategy (if it ever was), and undermined the Mac version by adding Windows-specific features that interoperate with the local operating system. 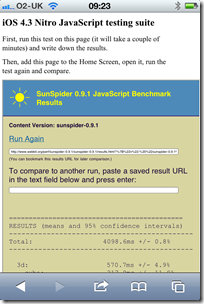 Silverlight is still an excellent runtime, powerful, relatively lightweight, easy to deploy, and supported by strong tools in Visual Studio 2010. If you have users who do not run Windows though, it now looks a brave choice. I still have to pinch myself when thinking about how Microsoft now needs to catch up with Apple in tablet computing. I got my first tablet in 2003, yes seven years ago, and it ran Windows. Now despite seven years of product refinement it is obvious that Windows tablets miss the mark that Apple has hit with its first attempt – though drawing heavily on what it learnt with the equally successful iPhone. I see iPads all over the place, in business as well as elsewhere, and it seems to me that the success of a touch interface on this larger screen signifies a transition in personal computing that will have a big impact. Just when Apple seemed to have the future of mobile computing in its hands, Google’s Android alternative took off, benefiting from mass adoption by everyone-but-Apple among hardware manufacturers. Android is not as elegantly designed or as usable as Apple’s iOS, but it is close enough; and it is a relatively open platform that runs Adobe Flash and other apps that do not meet Apple’s approval. There are other contenders: Microsoft Windows Phone 7; RIM’s QNX-based OS in the PlayBook; HP’s Palm WebOS; Nokia Symbian and Intel/Nokia MeeGo – but how many mobile operating systems can succeed? Right now, all we can safely say is that Apple has real competition from Android. Here is an interesting one. The year kicked off with a press release announcing that HP and Microsoft love each other to the extent of $250 million over three years – but if you looked closely, that turned out to be less than a similar deal in 2006. After that, the signs were even less friendly. HP acquired Palm in April, signalling its intent to compete with Windows Mobile rather than adopting it; and later this year HP announced that it was discontinuing its Windows Home Server range. Of course HP remains a strong partner for Windows servers, desktops and laptops; but these are obvious signs of strain. The truth though is that these two companies need one another. I think they should kiss and make up. I guess this is less developer-oriented; but 2010 was the year when electronic book publishing seemed to hit the mainstream. Like any book lover I have mixed feelings about this and its implications for bookshops. I doubt we will see books disappear to the same extent as records and CDs; but I do think that book downloads will grow rapidly over the next few years and that paper-and-ink sales will diminish. It is a fascinating tech battle too: Amazon Kindle vs Apple iPad vs the rest (Sony Reader, Barnes and Noble Nook, and others which share their EPUB format). I have a suspicion that converged devices like the iPad may win this one, but displays that are readable in sunlight have special requirements so I am not sure. 2010 was a huge year for HTML 5 – partly because Microsoft announced its support in Internet Explorer 9, currently in beta; and partly because the continued growth of browsers such as Mozilla Firefox, and the WebKit-based Google Chrome, Apple Safari and numerous mobile browsers showed that HTML 5 would be an important platform with or without Microsoft. 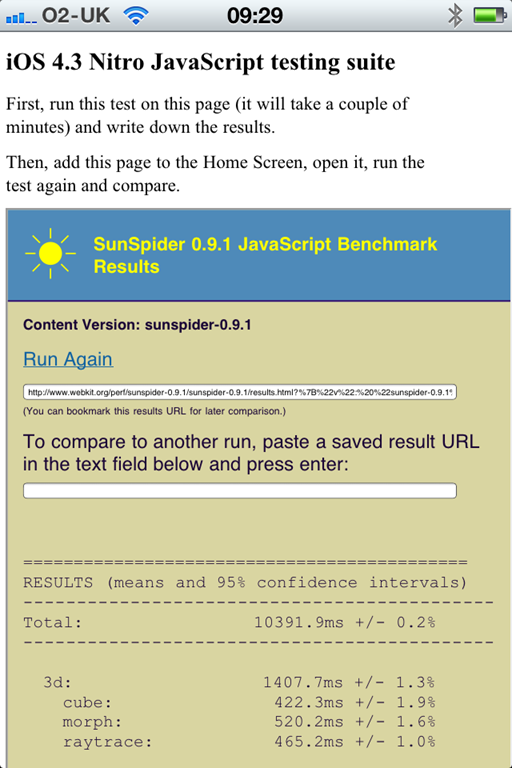 Yes, it is fragmented and unfinished; but more and more of HTML 5 is usable now or in the near future. 2010 was the year of Steve Jobs’ notorious Thoughts on Flash as well as a big year for HTML 5, which encroaches on territory that used to require the services of a browser plug-in. Many people declared Adobe Flash dead, but the reality was different and the company had a great year. Apple’s focus on design and usability helps Adobe’s design-centric approach even while Apple’s refusal to allow Flash on its mobile computers opposes it. Huge relief in Redmond as Windows 7 sold and sold. The future belongs to mobile and cloud; but Windows is not going away soon, and version 7 is driving lots of upgrades as even XP diehards move over. I’m guessing that we will get first sight of Windows 8 in 2011. Another triumph, or another Vista? 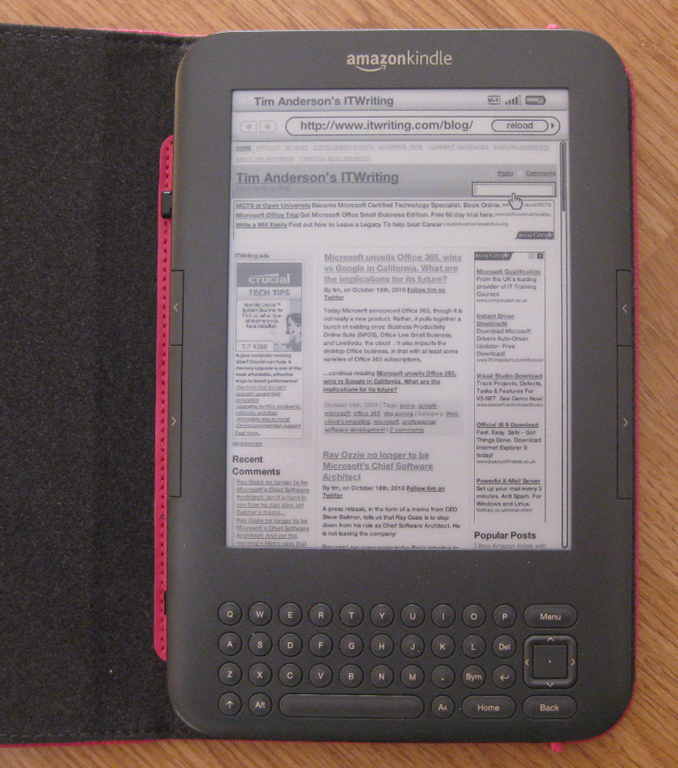 Kindle’s new web browser is based on WebKit to provide a better web browsing experience. Now it’s easier than ever to find the information you’re looking for right from your Kindle. Experimental web browsing is free to use over 3G or Wi-Fi. Amazon pays for the 3G coverage which is available globally. OK, it is monochrome, but since the Kindle also has a neat little keyboard is this now a great deal for blogging, checking Google maps, and so on? Use of Wireless Connectivity. Your Kindle uses wireless connectivity to allow you to shop for and download Digital Content from the Kindle Store. In general, we do not charge you for this use of wireless connectivity … You may use the wireless connectivity provided by us only in connection with the Service. You may not use the wireless connectivity for any other purpose. If you are like me you may feel there is some inconsistency between these two statements. Enough to say that from my point of view free global web browsing would be a big incentive to purchase a Kindle; but I suspect that if this is real and turns out to be a popular feature consuming significant data traffic, Amazon will soon find a way to charge for it or turn it off. 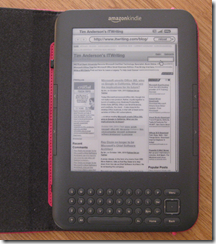 It is also interesting to see a smidgen of convergence between the Kindle and more general-purpose slate devices. I am not sure if the Kindle strictly counts as a slate since it has a keyboard, but it certainly has the slate look and feel.